These were made for a co-worker. 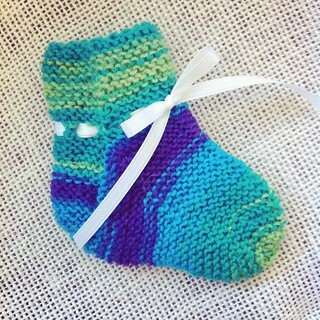 Something for their new little one to grow into. 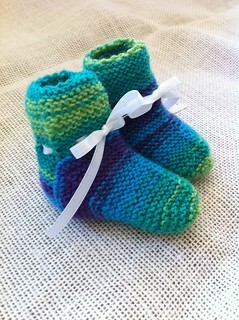 The pattern is Stephanie Pearl-McPhee’s Cutest Booties. A quick knit, although I did need to make three to end up with two.